Enjoy at leisure with someone you love…. 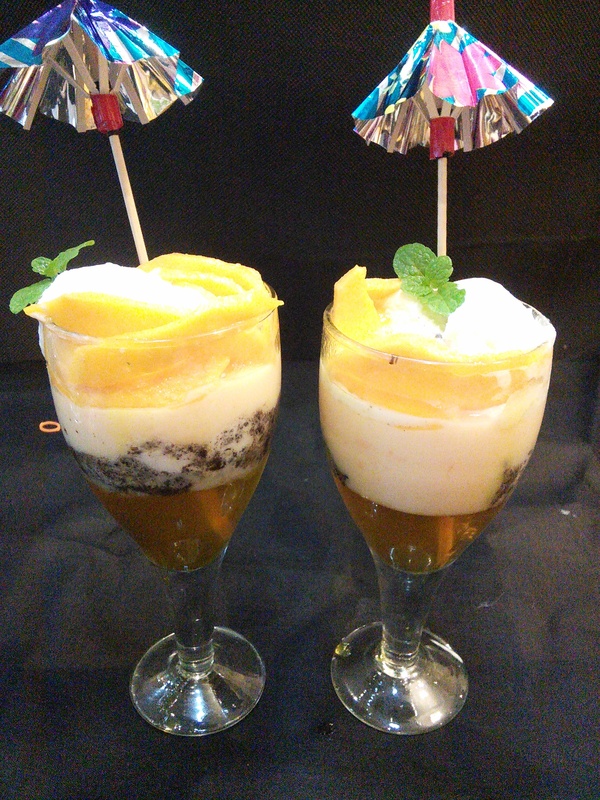 Mango trifle is a simple but interesting dessert. Mango is known as the king of fruits. So a dessert with the king has to be royal and befitting someone very special. 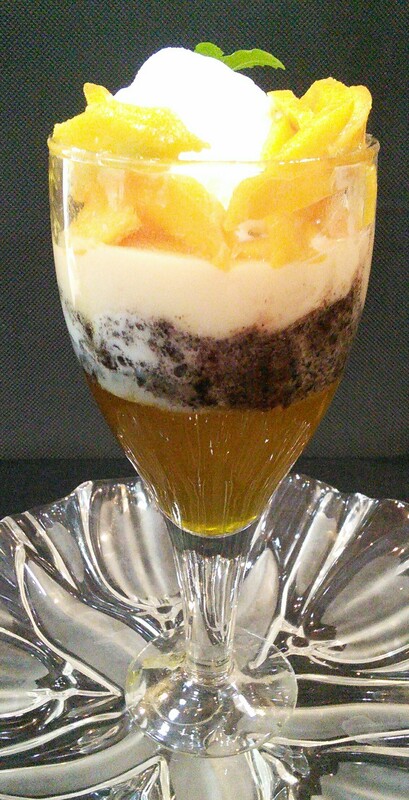 Build the bottom layer with mango jelly. It is very light and delicate and has a transparent hue. Top it with crushed Oreo mixed with some butter and honey. 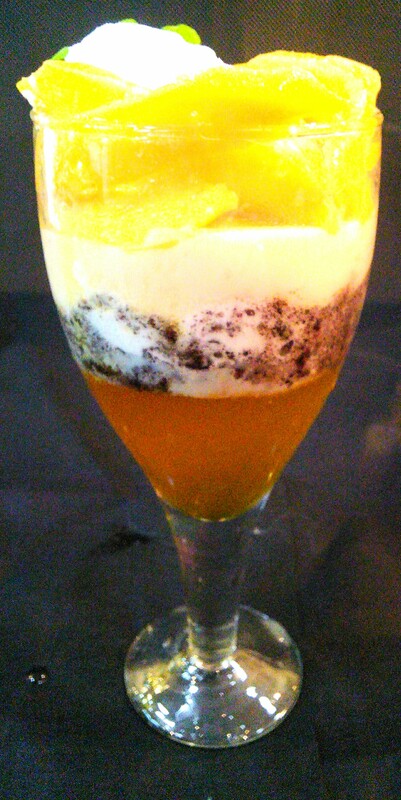 If serving immediately you can try Oreo with some Vanilla ice cream (my recommendation). But don’t try it if planning to serve later. 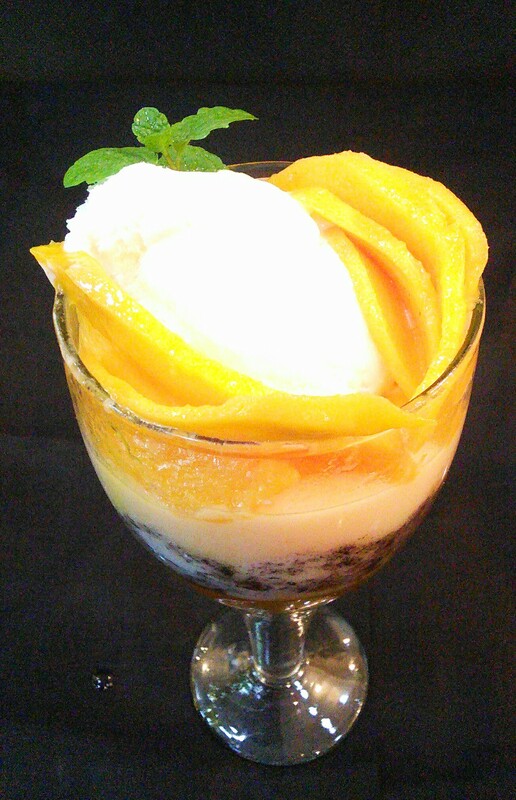 Top this layer with Mango custard, chopped mango and Vanilla ice cream.